Rooftop bars are all the rage in hip neighborhoods and nightlife districts around the world, but these nine have taken it up a notch and added a bit of fright into the great summer past time of drinking outside. Around the world, many skyscrapers boast high-up drinking establishments, but to make this list, the bar must be open air — that is, it can’t be fully enclosed. Visitors must be able to look out over the city, drink in hand, without staring through a glass window. So if you have a stomach for heights, you need to add these nine insanely high rooftop bars to your bucket list. It’s all about aeronautics at Kuala Lumpur’s coolest hangout. The rooftop of this high-rise in the trendy Bukit Bintang neighborhood is an actual heli-pad which offers unencumbered 360-degree views of the surrounding city. You can literally see for miles in any direction, and enjoy a stiff drink while you’re at it. The downstairs lounge hosts live DJs and dance parties, but the best action happens upstairs underneath the moonlight. The Petronas Twin Towers look completely different way up here. Drink at 1,575 feet above street level at Ozone at The Ritz Carlton, the highest rooftop bar in a city known for its skyscrapers. Ozone hosts many lavish parties as well as the most jaw-dropping weekend brunch buffet in town, so check their website before heading up to make sure the bar will be open to the public, and be sure to dress for the occasion. The Ritz-Carlton brand seems to be on a mission when it comes to top-level drinking. Flair at the Ritz Carlton Shanghai offers pristine views of one of the world’s most effervescent cities. Sip on a glass of fine whiskey while taking in the surroundings, for a perfect, relaxing evening high above the chaotic city. Rooftop bars are a religion in New York City, and Bar 54 has one of the most sweeping views of all of them (and there are many). The bar opened in early 2014 on the roof of the Hyatt Centric Times Square and provides a jaw-dropping vantage point of the madness happening 54 stories below. Looking outward, you can take in the Hudson River over Insta-worthy views of the city’s legendary skyline. Not to out-do Bar 54 in NYC, but Alfresco 64 – A Chivas Bar is located — you guessed it — on the 64th floor of Bangkok’s Tower Club at Lebua hotel. It’s hard to stop staring up when you’re at street level in Bangkok; the skyline goes on seemingly forever. Alfresco 64 is the key to both taking it all in at once and giving your neck a break in the process. 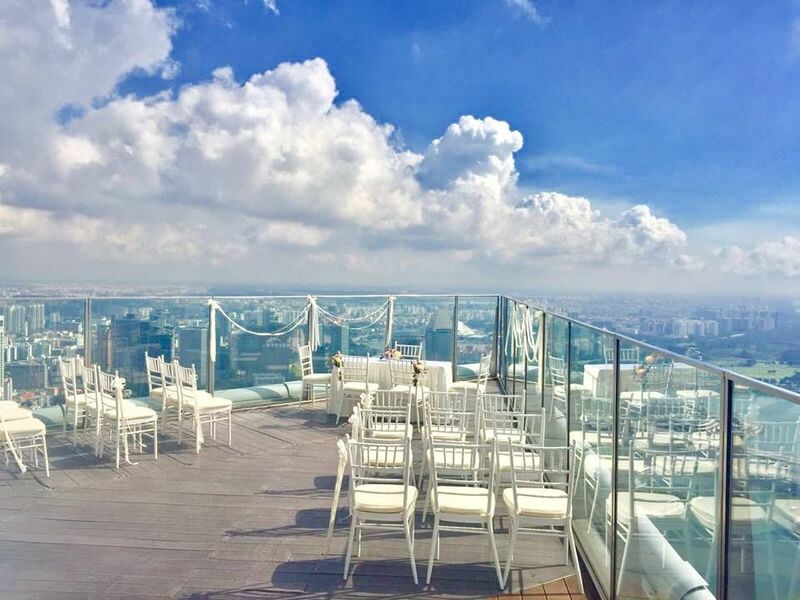 Singapore’s skyline is worth a trip in itself, but add 1 Altitude Gallery and Bar’s carefully curated selections of seafood, noodles, art, and creative cocktails to the equation, and you’ll have an unforgettable evening. This spot is a can’t miss, and both tourists and locals alike have figured that out. Be sure to make reservations if you plan to visit on a weekend. 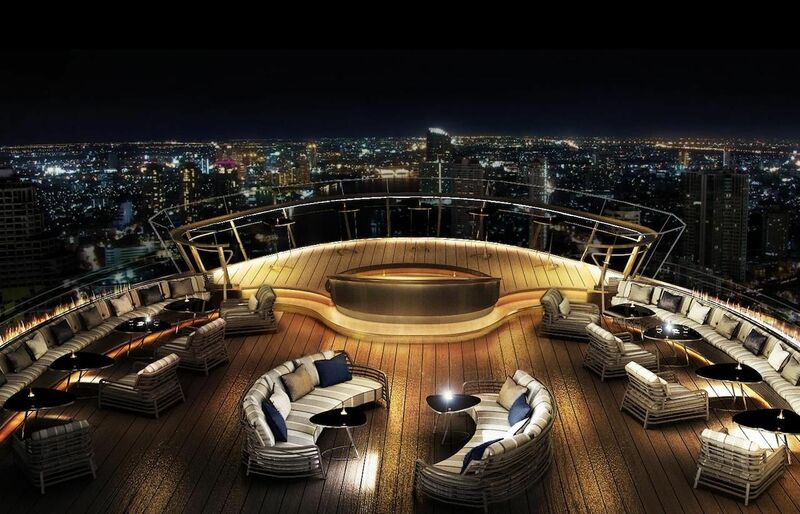 Leave the flip-flops in the hotel room when visiting Vertigo and Moon Bar on top of Bangkok’s Banyan Tree Hotel. The views are stellar but the dress code is strictly enforced before you even enter the building. 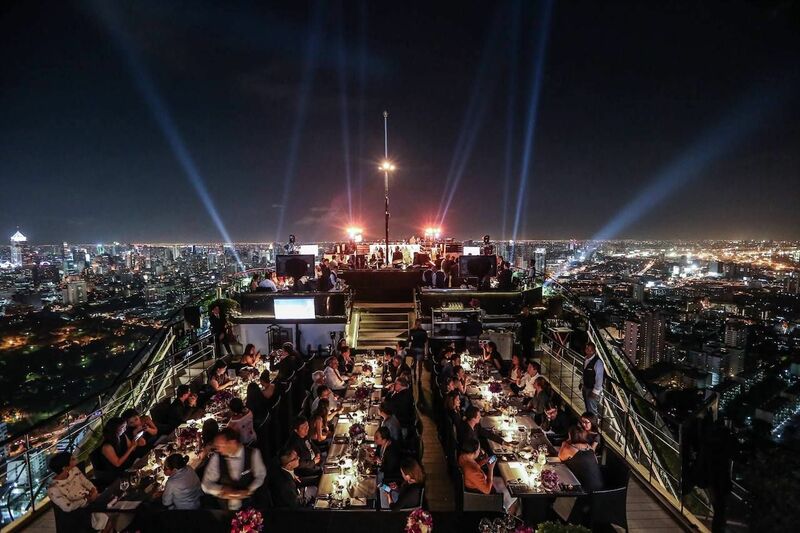 The scene at the top of the elevator is the perfect intersection of hip and formal, and while the price tag is higher than most in this Southeast Asian city, it’s a small price to pay for a fine dining and cocktail experience up in the air. If this photo looks familiar, think back to your favorite Zach Galifianakis movies: Sky Bar played host to the notorious helicopter scene in The Hangover 2, and the views are even more striking in person. 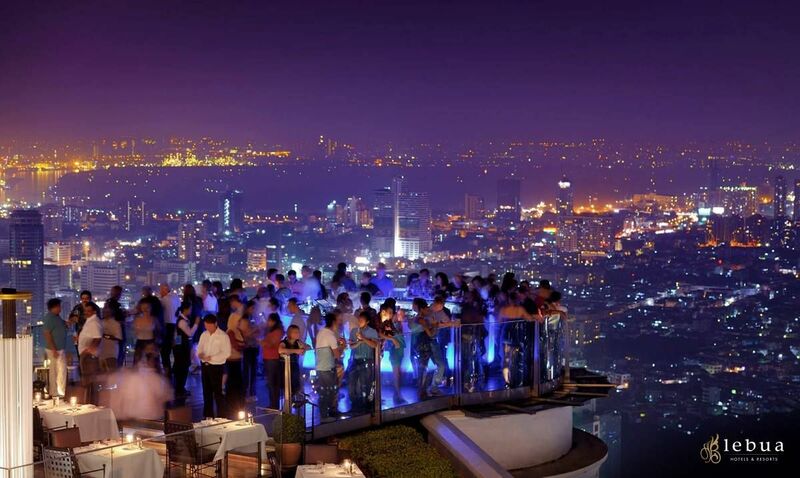 This is the world’s highest open-air bar, located on the 64th floor of the State Tower. Located in the same complex as Alfresco 64, you can easily visit both in the same evening without having to navigate Bangkok’s infamously gridlocked traffic. 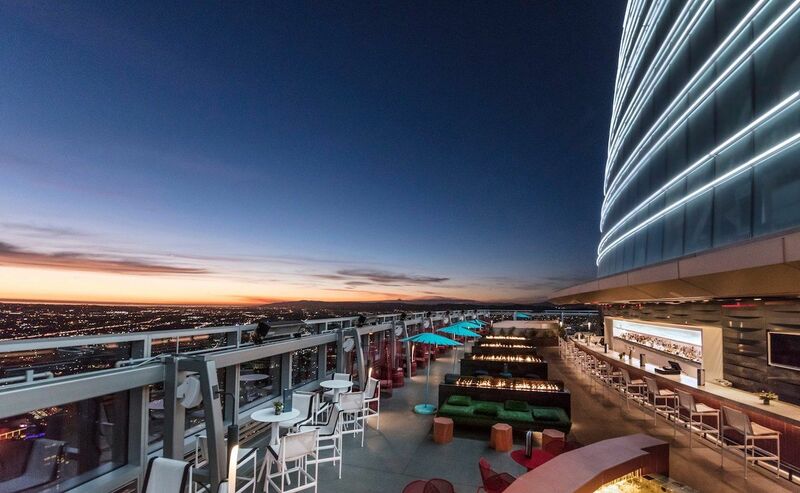 In a city known more for its sprawl than its skyscrapers, Los Angeles is an unlikely player in the rooftop views game, but it’s actually home to the highest open-air bar in the Americas. Spire 73 sits atop the InterContinental Los Angeles Downtown hotel and capitalizes on the city-to-ocean views for the ultimate, luxury SoCal experience.